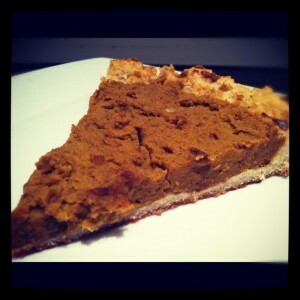 Everybody loves pumpkin pie! This is a simple recipe for the fall season or to take to your Thanksgiving gathering. Your gluten free and Paleo friends will be thrilled to get to partake and enjoy this traditional treat! GLUTEN FREE TIP: When cooking for your gluten free friends or for your g-free self, remember to use extra clean dishes and be extremely cautious of cross contamination . -To prepare the crust: evenly mix coconut and almond meal with sea salt & stevia. -Fold in coconut oil and eggs. Add in water if you find the mix is too dry. 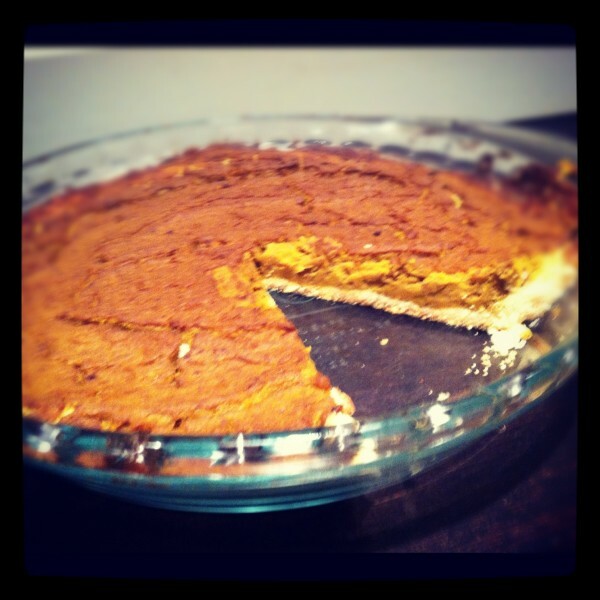 -Spray Coconut Oil (or spread coconut oil) on the bottom of a 9 1/2 in pan and mold crust on bottom and sides. -To prepare the filling: Add eggs and coconut milk and blend on low or whisk well by hand. Add in spices and adjust to your preferred taste. I continued to taste test until I got the filling to taste just right to my liking. If you want your filling a little sweeter just add a little extra honey or xylitol. -Pour fillings into crust and bake for 45-50 minutes or until firm and a knife comes out clean in the center.